The Whirl Wind STOL 200G-CS and 200A constant speed, hydraulically controlled two-blade propeller systems are ideal for utility aircraft equipped with the Lycoming IO-320**, -360, -375 or -390 engines (150-265 hp). All of these propeller systems consist of carbon fiber blades with 0.025” thick nickel leading edge erosion shields, aluminum hub and a composite spinner assembly. 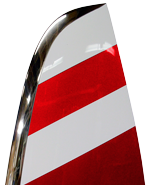 The exceptional integrity of the nickel leading edge makes these propellers perfect for flying in rain or snow, off of unimproved airstrips and water. The wide cord blade of the 77” 200G-CS develops outstanding thrust – exactly what is needed to get off and out of short fields. The extremely aggressive airfoil of the thin, foam core blade 80” 200A is our most dynamic blade to-date and pulls the hardest of this family, provided enough horsepower is behind it. Whirl Wind has made significant developments in the construction of the carbon composite propeller blades ensuring extremely strong yet extraordinarily light and durable propeller systems with unlimited life. 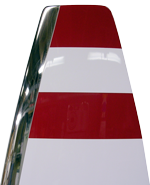 ** The 200G-CS is available in a swept tip blade and is strongly recommended for low horsepower applications. Note: ** The 200G-CS is available in a swept tip blade and is strongly recommended for low horsepower applications.